In the moment, you want to win and it’s an amazing thing to hear your name and be recognized. And, to be perfectly honest, losing doesn’t feel that great. But both of those feelings are fleeting -- and what really matters is the effort you put in and the reasons why you do what you do. This is going to sound trite -- and I hate reducing this to something so pithy -- but, in the end, everyone really is a winner and the work is its own reward. Before I get accused of being too sappy here, let me explain why. Digital Echidna is honoured to be a finalist for the second straight year for the London Chamber of Commerce’s Large Business of the Year Award. We came up short last year and are up against solid competition again this year. So we’re well versed in the application/review process from a nominee end (we also have been finalists twice for Small Business of the Year, and took home the Chamber’s 2015 Corporate Social Responsibility Award). Representing Echidna as a previous award recipient, I also have the honour of being part of the judging committee for the Corporate Social Responsibility Award. So really, I get to see the process from both sides. A couple of weeks ago, Echidna welcomed the judging delegation for the Large Business Award; earlier this week, I went on “tour” with the Chamber’s CSR judging panel to visit the finalists in that category. And the best part about the experience -- on both ends -- is that it makes you appreciate what you, and companies like you, are doing. I have the privilege of sitting on a number of boards and volunteering with a number of causes. And, generally, I’m not comfortable talking about it. I appreciate working for Digital Echidna because I feel that we share a similar attitude, which is ingrained in everything we do, both from a production standpoint and from a corporate social responsibility perspective. We give back to the community quietly, using our skills, talents, and resources. We don’t do it for personal recognition, but rather because it’s part of who we are and we feel we can help. Our CSR efforts are not designed to reflect upon Echidna, but rather to use our skills, talents, and resources to help our partners shine. And because it’s what we do on a daily basis, we sometimes take for granted how much time we share and what impact we have. Nomination and recognition help us reflect upon what we do and who we are. The same can be said for the Business of the Year award. We appreciate what an amazing company we have and we’re proud of the work we do. But it’s a quiet humble confidence. Sometimes it’s beneficial to sit back -- or, in the case of awards, be forced to sit back -- and reflect upon your efforts and how you’ve grown. Presenting to a judging panel brings along a sense of pride. We are finalists for a reason -- because we’ve done good work and made our customers happy. The same goes for CSR -- the companies we reviewed in the judging process all have made a difference and should be proud of the initiatives they’ve undertaken and the impact they’re making. But, in both business success and CSR, it’s not about chasing awards or recognition; it’s about building solid foundations and doing good work because it’s integral to who you are. Having the privilege of seeing these applications really shows you how many unsung heroes there are out there. Day in and day out, they’re making a difference, and this is a chance to sing the praises of those who have little interest in self-promotion, because that’s not why they do what they do. That’s why all finalists are winners. Sure, only one company walks away with a trophy -- and experiences that momentary euphoria. But when the dust settles and the calendar turns, you and your company still did amazing things that were worthy of recognition. No one can take that away -- and if you’re building and growing for the right reasons, awards are an ancillary benefit anyway. I’m not going to lie -- and with all due respect to the other Large Business of the Year finalist, AM Group of Companies -- I’m going to be sitting in the audience on March 20th hoping that the fourth time is the charm and our name is called! But having been on both sides of the equation, I know how much effort went into this and that we really have reason to be proud. All of these companies are growing, making an impact, and bettering London in so many ways. And that’s something to really celebrate -- win or lose. Why do companies get involved in corporate social responsibility? 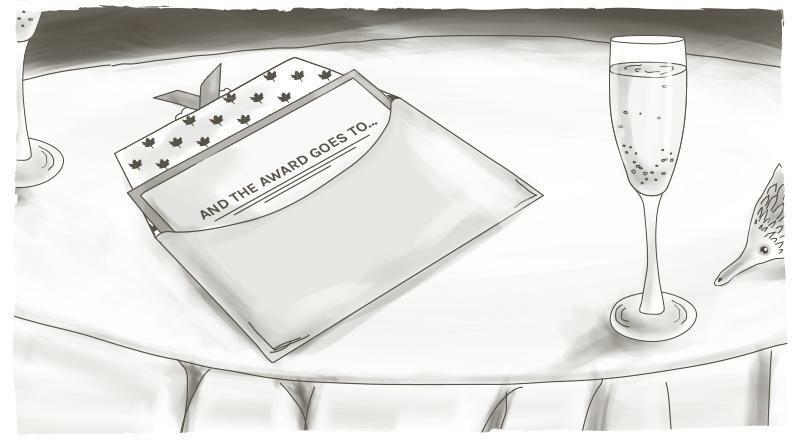 What does winning or losing an award mean to the nominee?